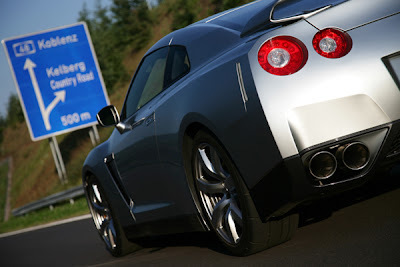 The GT-R will be available to buy in Europe from March 2009, with prices of around £60,000 likely. The 3.8-litre V6 twin-turbo GT-R sends power to all four wheels through a transaxle mounted dual-clutch, paddle-shift operated gearbox. The GT-R tops out at 194mph and blasts to 60mph from standstill in 3.5 seconds. Developing 475bhp and 434lb-ft of torque, the GT-R is famous for completing one of the fastest ever Nurburgring lap times for a production car at 7m 38.